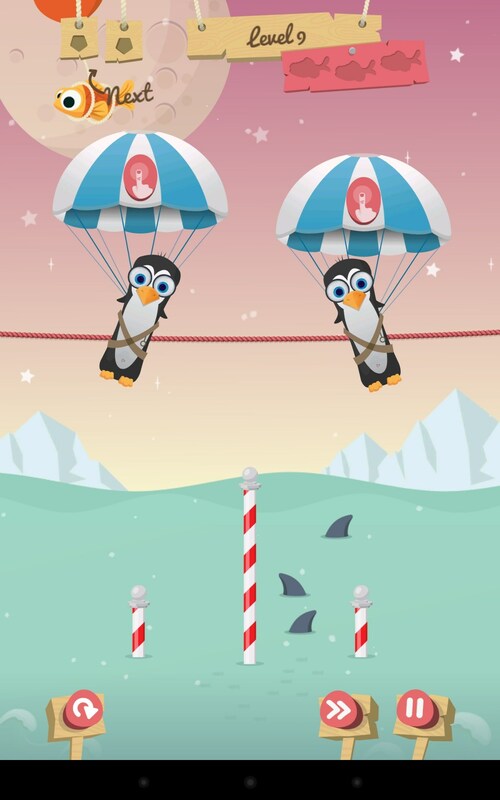 Penguin Pile-Up – Games for Android 2018 – Free download. 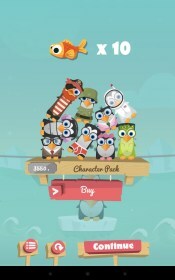 Penguin Pile-Up – Amazingly cute brain teaser about penguins. 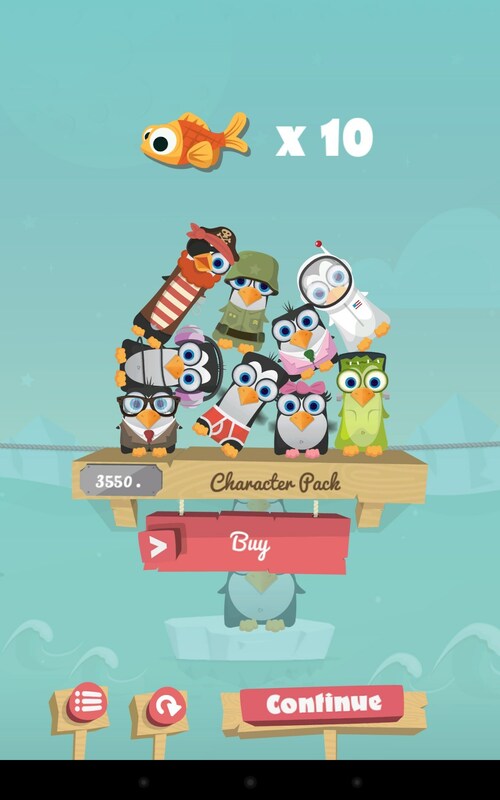 Penguin Pile-Up - a fun puzzle game for Android, in which the main role is played by the penguins. 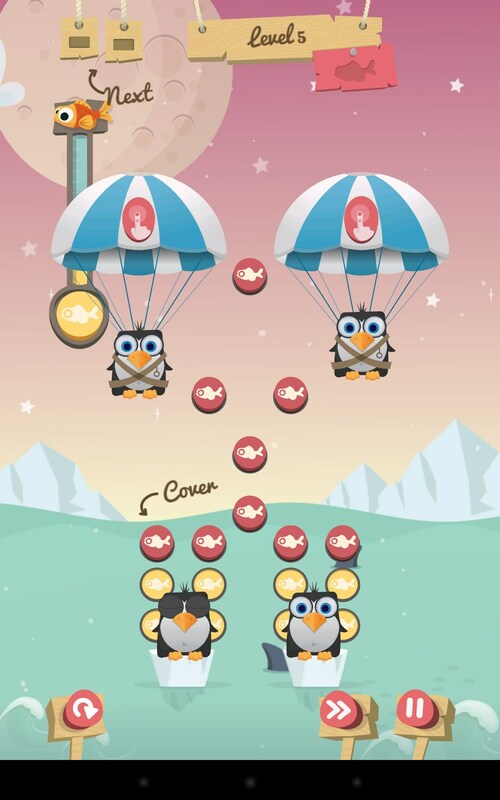 That you have to drop them by parachute from the sky and build from them robust and sturdy construction so as not to lose a single penguin and thus collect all the gold fish. 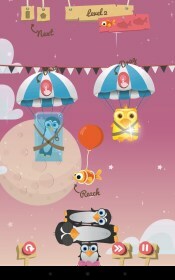 Do you think that the penguins - boring and sad creatures that can not fly? And here and there! And as part of this game, you can be reasonably confident that they can be incredibly sweet. Not only that, they are all different, with their own characters, forms, habits and characteristics, so still and know how to fly ... by parachute, of course. So, before our eyes with the floe was originally set conditions, and on the palate it down penguins of different colors, shapes and sizes. Our task - to let go of their parachutes in time to pick up, and then carefully and correctly install each on the ice so that the resulting structure was stable and reliable. Interfere in this difficult matter so we will be all sorts of tricks in the form of boxing gloves, frozen in ice cubes, as well as non-standard and rounded penguins, as well as the irregular shape of the original ice, and so on. 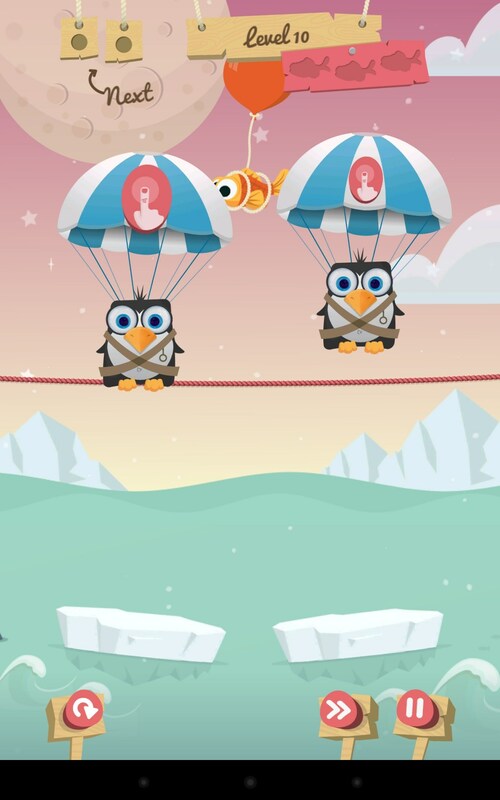 Think over your moves in advance, placing the penguins so that the following was easy for them to hold. 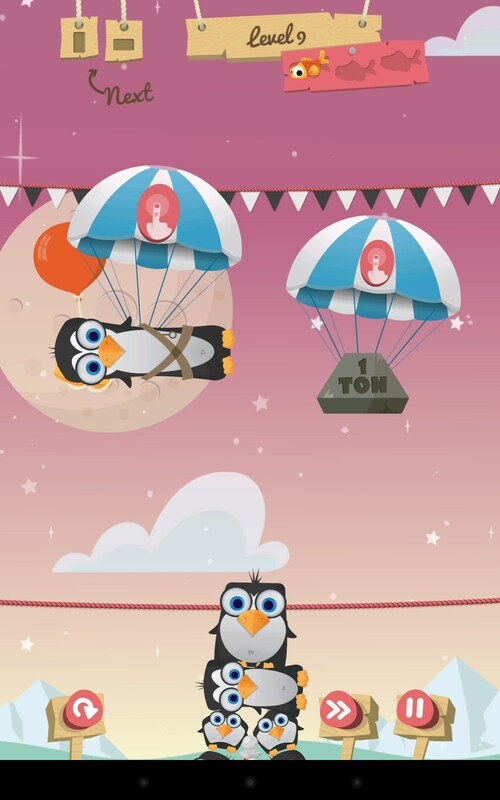 For each new pack of rescued penguins will earn you a gold fish. Please note, for greater stability on the screen will be displayed as buttons in fish. 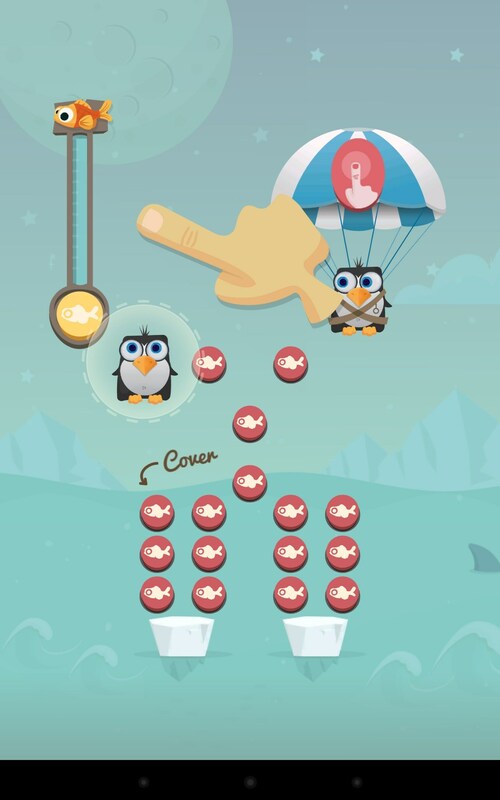 Correctly setting the penguins on these buttons, you get the guaranteed reliability of your design. 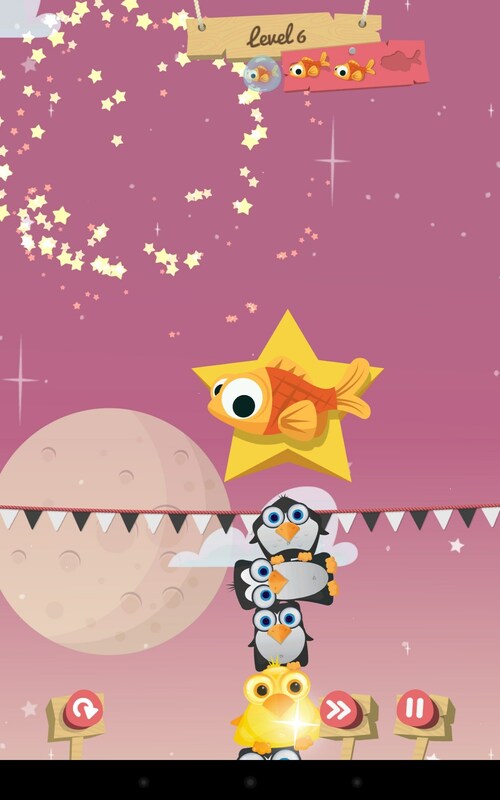 The more successful you build your penguin pyramid, the more often falls short of the cherished gold fishes, which it is desirable to collect on all three of them per level. To advance through the levels you will definitely need those same goldfish collected on the previous ones, so try to achieve the best results, the passing rates again if initially failed to collect all the fish at once. 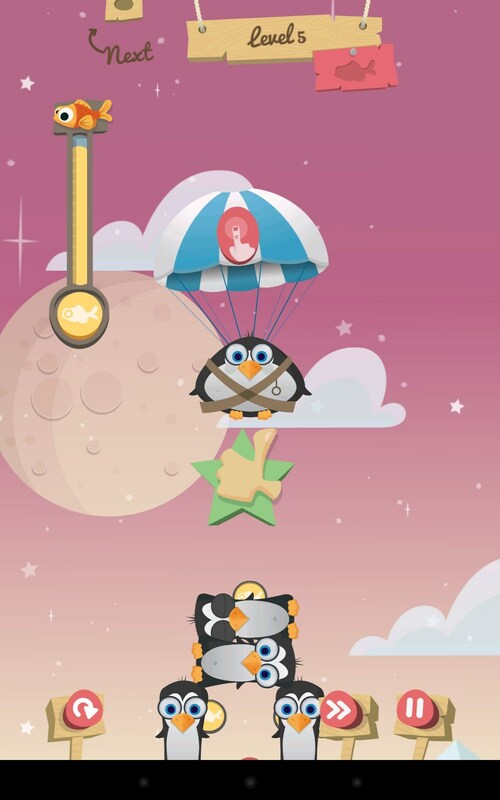 In addition, between levels you expect no less interesting and fun mini-games. For example, with the explosion of boxes for little penguin softly and gently hit the ice without falling into the water to feed the sharks. As well as a fun game with the fishes in the bubbles, which should move quickly to press, earning bonuses. The friendly and responsive handling. As always, the most fun and interesting characters will have to pay if you want, and it's a bit spoils the impression, although the play can be happy without them. Also spotted some bugs in the transition to the next levels, which remain the developer did not respond. Intentionally game extort money from the user, or not (in the presence of the required number of fish) - it's hard to say goodbye. So we hope that soon all the logs will be eliminated. 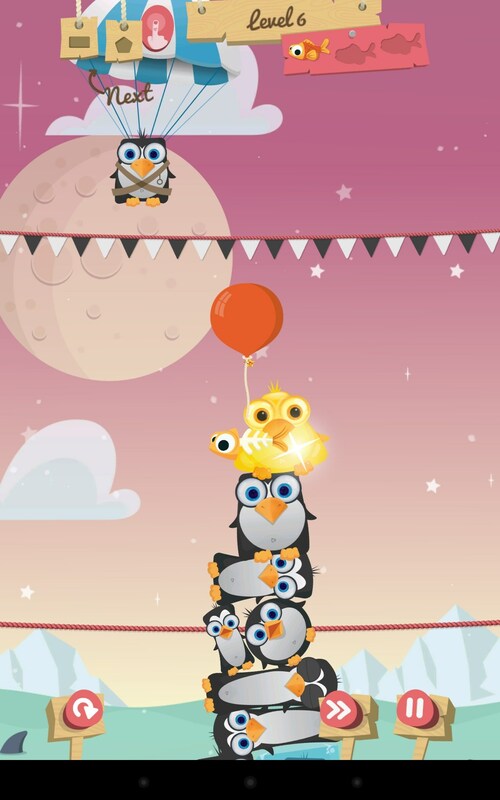 Penguin Pile-Up - filled with penguins puzzle game for Android, in which you will certainly not be bored, building the pyramids, towers and other structures of these flightless birds. If the pesky bugs are eliminated, then the developer can be safely commended for really high-quality product and very addictive gameplay.